On February 28th, we are performing Beck's Song Reader at The Knitting Factory Brooklyn. As Beck has no present plans to record the songs or tour behind them, this is a rare chance for fans to hear his new songs completely arranged with a band. But we aren't doing this for his fans alone - Song Reader and the Red Hook Ramblers go well together (more on that below). This will be a fun show for everyone. It's gonna rock, it's gonna do a lot of things. Get ready for slammin' robo-funk, country-swing, heart-aching ballads, dixieland, noise, and much more. Special guest singers include Shilpa Ray, Erika Spring (Au Revoir Simone), and Corn Mo. The opening band, our good friends Bombay Rickey - not to be missed - are a walking Beck dream in themselves. 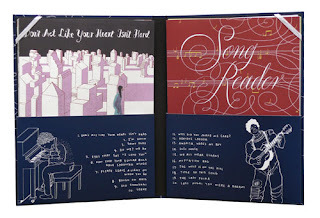 Song Reader is a very diverse collection of music and art. 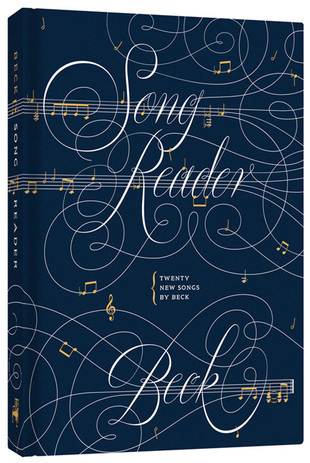 Released in December, 2012 by McSweeney's, it gorgeously presents Beck's 20 sheet-music songs inspired by an early era in the music industry. When recording technology was non-existent and then in its infancy, sales of sheet music created popular songs and styles, from Stephen Foster's beginnings of musical Americana to the spread of ragtime around 1900, and then mainstream jazz in the '20s and '30s. 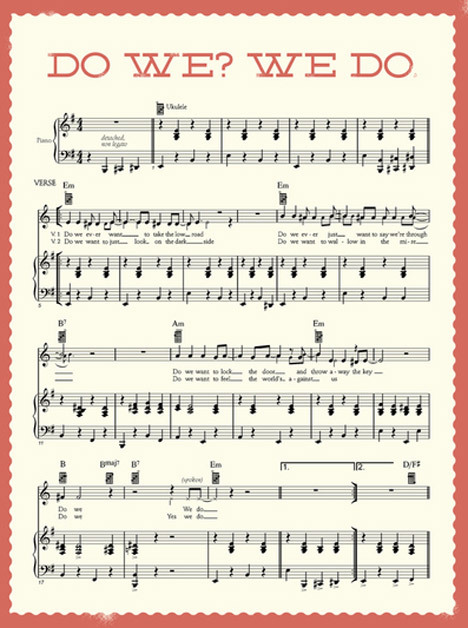 Hit song sheets could make publishers rich - sales of "After the Ball" in 1891 exceeded five million. Publication of "St. Louis Blues" in 1914 launched blues into the hit parade, and a new dance craze. 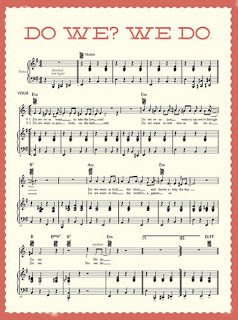 Beck has stated that Bing Crosby's sheet music for Sweet Leilani was one spark that helped light the Song Reader fire. But he has also stated that this is not an exercise in nostalgia. Indeed, a band like ours can't easily swing most of Beck's new songs like we can with most every song from the original sheet music era - they have a completely modern flavor. He is a contemporary musician simply working in the medium of sheet music here, mixing in early Americana with his songwriting style as only Beck can. So in playing the Song Reader tunes, the most fun and most challenging aspect has been the question of interpretation: how should these songs be presented? It has inspired us to dig deep into our band's collective and individual wells of influence and skill. In our burlesque performances, original songs and film scores, we've hinted at our affinity for punk rock, surf, psychedelia, exotica, latin rhythms, soul, gospel, country-western, analog synths and more, but with Song Reader we get to indulge those fancies. Since our band has been a working trad jazz band for years, steeped in the era Beck has dipped into, interpreting, improvising and going about the business of "jazz" quite irreverently, we feel well suited to - and inspired by - this concert. Along with our trumpet, trombone, tuba, clarinet and banjo, out come the electric guitar, the synthesizer, the sampler, the lap steel guitar and ukulele, the hot saxophone, the full drum kit. Among Beck fans and critics, there has been some confusion about what to make of Song Reader, as it has no precedent. Can it be considered an album in the modern sense? How are the songs to be heard if one is not able to read and perform written music? One of our goals with this concert is to provide a faithful rendering of the songs, allowing all the melodies, harmonies, lyrics, and rhythms indicated by Beck to be heard. Our pianist, Chris Johnson, will be playing the exact piano parts to most of the songs. Our arrangements, instrumentations, and interpretation of style are original. We feel that the album is one of his finest collections of songs - on a par with Mutations and Sea Change and should certainly be weighed with the same consideration as any of his recorded work. It runs a huge gamut of feelings: funny, cryptic, emotionally naked, ferocious, wistful, sometimes all within one song. Come listen and judge for yourself, but you may just wind up dancing instead. Right now, the February 28th show is the only performance we plan to do, so don't hesitate - get a ticket now!